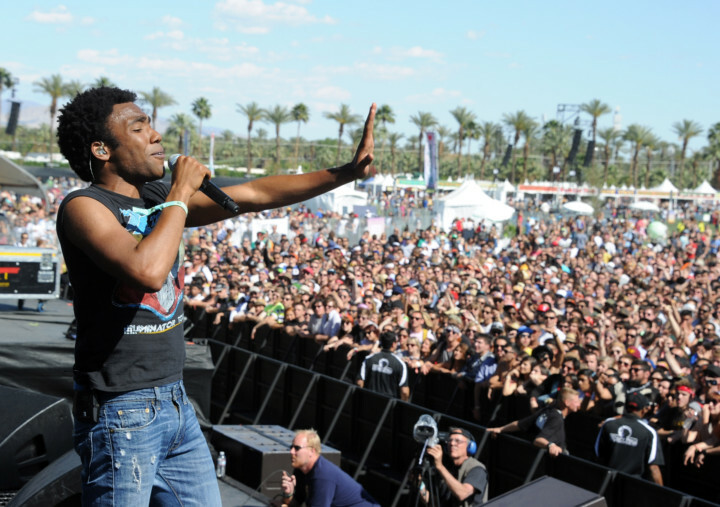 Donald Glover dropped his highly anticipated film with Rihanna during a Coachella performance by his rap alter ego Childish Gambino that could be one of his last. The star famous for his music but also successful in film, television and comedy delivered a pared down headlining performance heavy on dance but light on production to wrap the first night of the premier music festival set in the California desert. During his set, Glover’s 54-minute film ‘Guava Island’ — a much-touted tropical thriller shot in Cuba and starring Rihanna — also began streaming on Amazon Prime. The film sees Rihanna play singer Glover’s tough-to-please girlfriend, and centres on themes of music’s power to unify and the weight of capitalism. During his pumping yet pensive show a shirtless Glover — frequently undulating his hips in the style of his acclaimed ‘America’ video — strode a catwalk jutting into the enormous crowd there for the three-day weekend of music’s hottest acts. 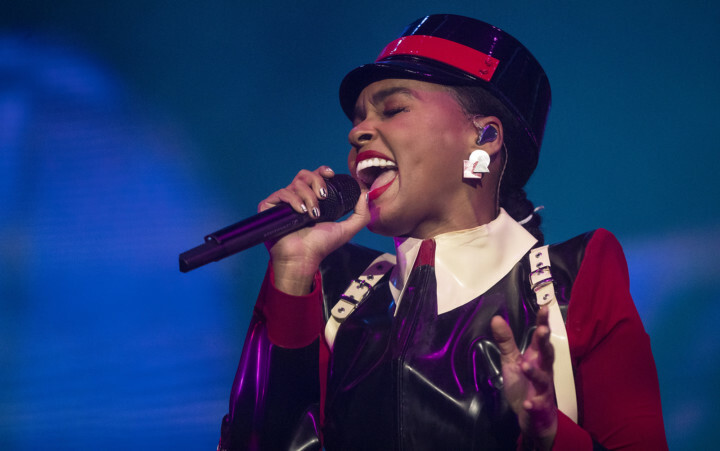 Just prior to Glover’s set, pop futurist Janelle Monae delivered an electrifying performance, focusing heavily on themes of girl power and black empowerment. Surrounded by a troupe of women dancers, Monae — who underwent several costume changes that included a black leather bodysuit, garter-style tights and her famous flowing pink pants — gave a theatrical show that included twerking, guest appearances from indie hip hop star Lizzo and surrealist rapper Tierra Whack, and a subtle tribute to her late collaborator and mentor, Prince. “Let’s celebrate those who need to be celebrated,” she said to cheers, before raising her middle fingers and delivering a brief but expletive-laden admonishment of President Donald Trump’s administration. 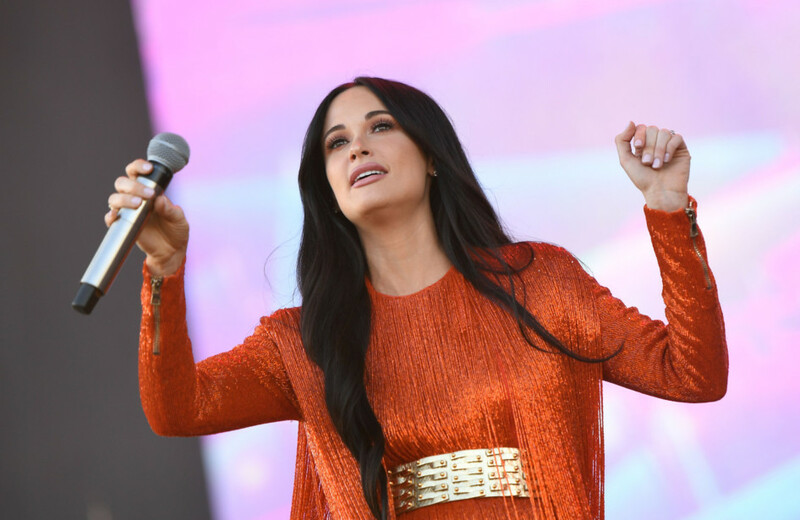 “You all look beautiful during this golden hour,” the 30-year-old, donning a shimmering red fringe mini-dress with a golden belt and matching heels, said, nodding to the title of her record that nabbed the coveted Album of the Year Grammy. “I’m queer and I like that she sings about queer love, and sings with gender-neutral pronouns,” the 25-year-old said. “Us coming all the way from South Korea, we didn’t know what to expect, and obviously we — you guys and us — we’re from totally different worlds,” said the group’s Rose. Coachella has hosted popular South Korean acts before (the hip hop group Epik High performed in 2016). But Blackpink’s set was the first time a K-Pop idol group at the height of its powers performed in Indio. It drew a mix of mind-shattered fans who couldn’t believe their luck, and plenty of curious onlookers who might not have seen a K-Pop show otherwise. If any K-Pop group could make this kind of debut here, Blackpink was a savvy choice. They’re already megastars across Asia (and have a Forum date coming soon), and their music covers a waterfront of modern hip-hop, EDM, synth ballads and even heavy rock. Their onstage rapport hits a sweet spot between K-Pop’s cheery, futurist veneer and hip hop’s bravado and prowess. BTS might be a bigger act, and 2NE1 might have covered similar terrain before them. But no other K-Pop group could probably have handled a Coachella gig quite as well. From the first kicks of ‘DDU-DU DDU-DU’ through the deep-sunk hooks of ‘Whistle’ and ‘Forever Young,’ the members of Blackpink brought the rigor and charm of K-Pop to a festival founded on punk and indie ideals. That they so successfully translated it to tens of thousands of fans instantly put them in the canon of K-Pop crossovers, and they’re likely just getting started.